Stepping Back in order to look forward came to mind this morning. After watching the fireworks last night and noticing that one of my pictures had a heart appear in the middle of it made me Wonder!!! Life… all our dreams, goals, and purpose are always right in front of us… Sometimes we need to step back in the middle of everything in order to truly see what’s in front of us! 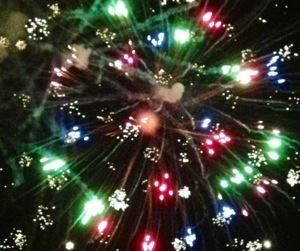 Like the beautiful display of fireworks, perhaps ordinary, perhaps redundant to the average person. To me… Spectacular, and not just because of the fireworks display alone! But what I was able to see past what was in front of me… Which keeps me in Awe and continues to make me Wonder!